Moiwa Ski Resort, on Mt Moiwa is adjacent to Mt Annupuri about a four minute drive from Tanuki Lodge. Not a part of Niseko United, Moiwa has a separate ticketing system but makes up for this slight inconvenience with great prices for kids and families. 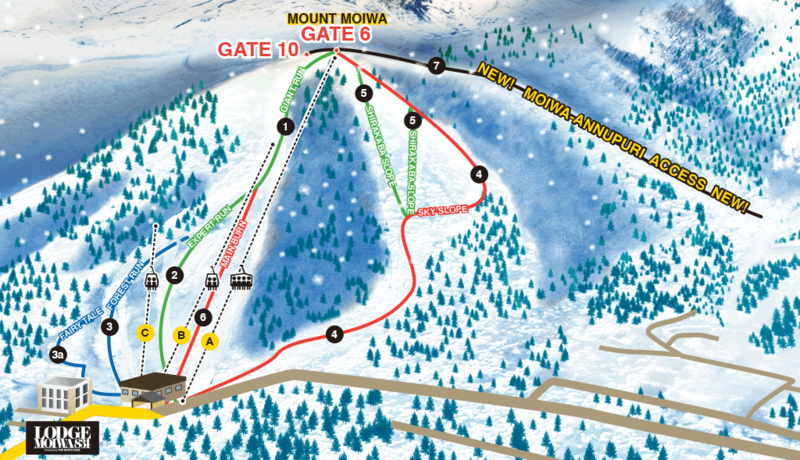 With six ski runs and three chair lifts, Moiwa also has gate access to backcountry and a trail across to Annupuri ski resort. With none of the crowds of the larger resorts and some charming runs, including plenty of fun in the trees, Moiwa Ski Resort makes up for what it doesn’t offer in quantity with quality. You can find out more about whats on offer at Niseko Moiwa Ski Resort.